In order to stop the international spread of what Russian researchers consider the most dangerous swine disease, finding answers is vital. Since August 1st, the virus has been reported in seven Chinese provinces and caused the deaths of around 40,000 pigs. This further threatens the country’s US$128 billion industry. What is worse, the situation also widened its grip on Europe as the first cases appeared also in Belgium on September 13. Some extra bad news: there is no vaccine to protect the animals. Researchers say that the lethal virus can survive for more than a year in dry-cured ham and that is most likely to spread fast among China’s 433 million pigs and reach other countries as well, even the US. “What we’re seeing so far is just the tip of the iceberg,” Juan Lubroth, chief veterinary officer with the Food and Agriculture Organisation of the United Nations in Rome, said after an emergency three-day meeting in Bangkok this month. The emergence of the disease in other countries “will almost certainly occur,” he said. 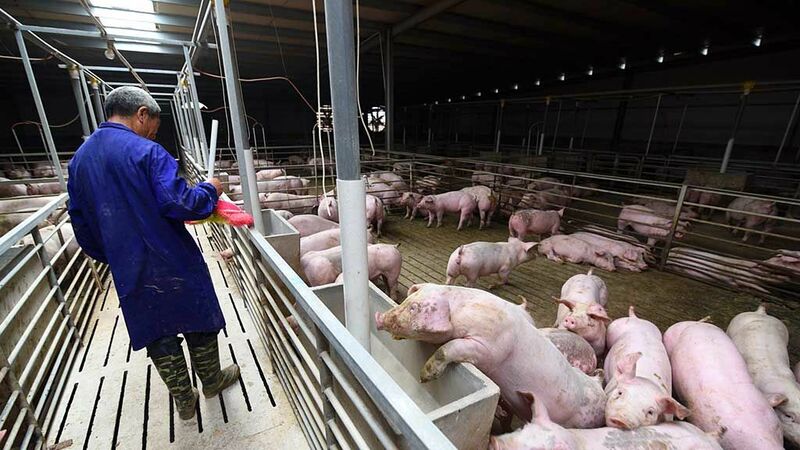 Researchers at China’s Academy of Military Medical Sciences in Changchun mentioned that the pig pathogen present on local farms matched a very virulent strain that emerged in the former Soviet republic of Georgia in 2007 and dispersed across Russia and Estonia. This discovery led them to speculate that the disease might have been introduced via trade in live pigs with Russia and the European Union, or even through the illegal importation and disposal of products that contained pig meat.